Nicholas Buccola, PhD,the founding director of the Frederick Douglass Forum on Law, Rights, and Justice at Linfield College, delivers a lecture on the life of Douglass, an American social reformer, abolitionist, orator, writer and statesman. After escaping from slavery, Douglass became a national leader of the abolitionist movement, gaining note for his oratory and incisive antislavery writings. 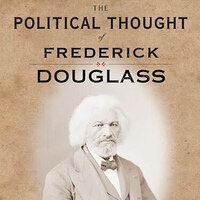 Buccola’s book, The Political Thought of Frederick Douglass: In Pursuit of American Liberty (New York University Press, 2012), has garnered praise for its relevancy and insight. This event is part of UofL's "American Political Culture" lecture series inspired by Alexis de Tocqueville's Democracy in America.